Congratulations to Mira Costa Baseball’s Kyle Karros (3B), recognized today as The Daily Breeze South Bay Boys Athlete of the Week. Kyle Karros hit .600 last week with five runs scored, seven RBIs in four wins for the Mustangs. 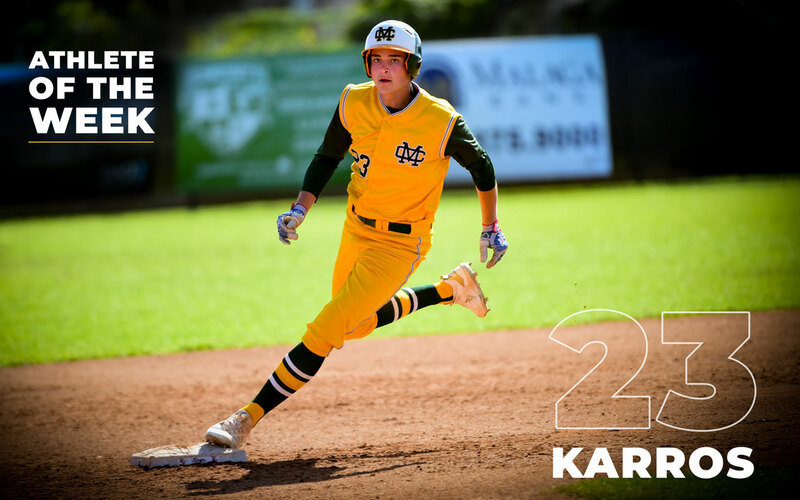 In Saturday’s 3-2 win over Oaks Christian, Karros hit a solo home run and a two-run walk-off double.